Thanks to all. I think it´s the RIVERSIDE. Love these Grand harbour photos, evokes many memories when I was younger and quicker and stronger on my now aging feet. My hunch would be that this is indeed the Panama-flag RIVERSIDE. She is a good match for all the other images of this ship, where the only changes seem to be updates of the radar installation. 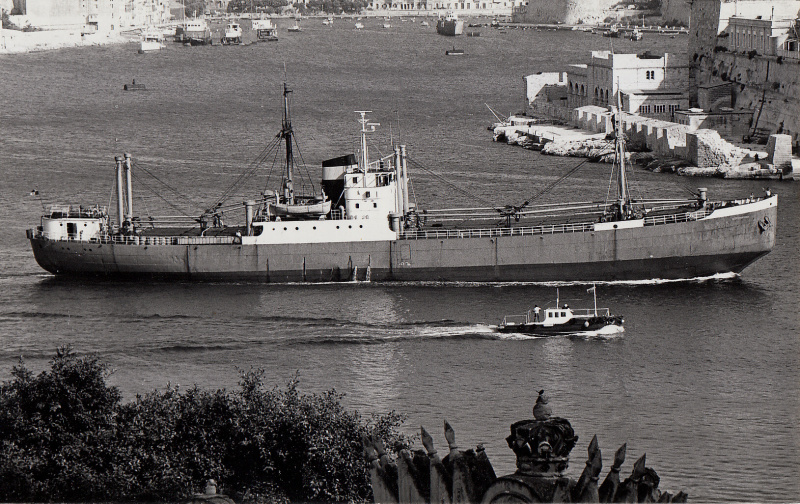 RIVERSIDE was reportedly detained in 1980 by the Italian Customs because of smuggling and later moved to Salerno where she remained for some time. What happened subsequently is unclear, but she was only deleted from Lloyd's Register in 1998 as "continued existence in doubt". This photo may well offer a clue.